D-Link routers almost never require a default password and usually use the default IP address of 192.168.0.1 but there are exceptions, as you can see in the table. Don't forget to configure a router password once you've gotten in. The D-Link DI-634M router has two default access accounts, an administrator-level account (username of admin) that you should use for router management as well a user-level account (username of user) that can be used to viewing data but not making changes. D-Link DI-701 routers have an administrator-level default account (no username or password required), as well as another administrator-level account for ISPs called Super Admin (no username with a password of year2000) that grants the additional ability to set a user limit via the usrlimit command, available in the router's terminal mode. These D-Link routers, the DSA-3100 & the DS-5100, have default administrator accounts (admin / admin) as well as default "manager" accounts (manager / manager) which are restricted to adding and managing additional user access accounts. Can't find your D-Link network device in the table above? Just send me an email with the model number and I'd be happy to look it up, let you know, and add it to the list for everyone else. There are no secret back doors to your D-Link router or another network device, meaning that if the default admin password has been changed and you don't know what it is, you're locked out. Period. The solution, then, is to reset the entire D-Link device to factory settings, resetting the password to its default and erasing any wireless network or other settings. Performing a factory reset on a D-Link router is pretty easy. Turn on the device, press and hold the Reset button (usually on the back of the device) with a paper clip or small pen for 10 seconds and then release it. Wait a few more minutes for the router to finish booting. If the factory default reset doesn't work, or you can't find that reset button, check your device's manual for specific instructions. A PDF version of your device's manual can be found at D-Link Support. Once you've reset the D-Link admin password, it's important to change it to something secure that can't be easily guessed like the default D-Link password. Once you do that, consider storing the new password in a password manager to avoid having to reset it again in the future. 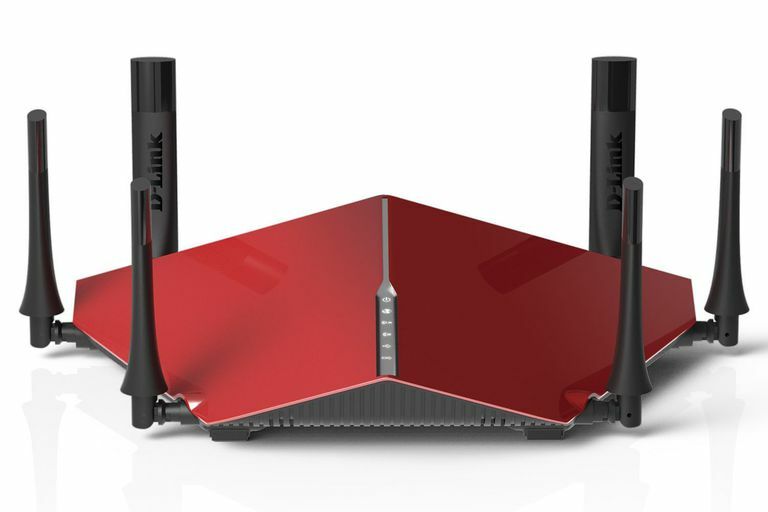 Assuming that your D-Link router is powered on and connected to your network, but the default IP address listed above isn't working, try opening a web browser window and connecting to http://dlinkrouter.local. If that doesn't work, try http://dlinkrouterWXYZ, with WXYZ being the last four characters of the device's MAC address. All D-Link devices have their MAC addresses printed on a sticker that's located on the bottom of the device. So, for example, if your D-Link router's MAC address is 13-C8-34-35-BA-30, you'd go to http://dlinkrouterBA30 to access your router. If that trick doesn't work, and your D-Link router has been connected to a computer, the configured default gateway will almost always equal the access IP address for your router. See our How to Find the Default Gateway IP Address tutorial for instructions on where to look for the default gateway IP, which is buried deep within your computer's network settings. If you need more help accessing or troubleshooting your D-Link router, or have questions in general about default passwords and other default network data, see our Default Password FAQ.